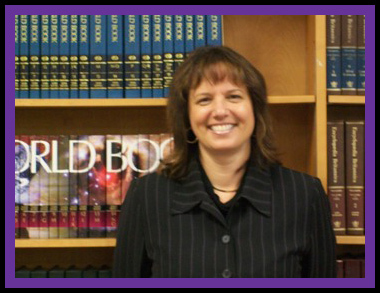 Ms. Bagley began her second career in education at Deep Creek High School in 1993. 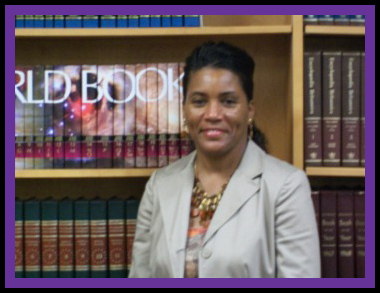 As the Assistant Principal for Instruction, she also served as the liaison for Deep Creek PTSA and SOL Test Improvement. She is a Chesapeake Public Schools graduate, holds a BA degree in Management from Virginia Wesleyan College, a Master’s Degree in Secondary Education and an Advanced Studies degree in Educational Administration from Old Dominion University. Ms. Bagley is a member of numerous community service organizations, Chesapeake Association for Public School Administrators, Parent Teacher Student Association and the Gamma Upsilon Chapter of Delta Kappa Gamma. Ms. Bagley believes that public education serves to educate all children of all people. 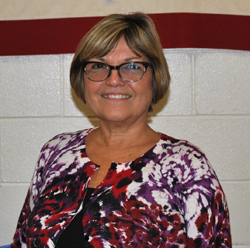 Ms. Sperelakis-Babb is the Assistant Principal of Instruction. 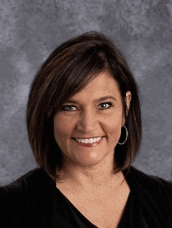 Her responsibilities include overseeing instruction, SOL testing, and student achievement. She is a University of Virginia graduate. She has been a classroom teacher, SCA sponsor, Instructional Specialist, Freshman Administrator, and an Assistant Principal of Instruction. She is a member of NASSP, ASCD, and ADK Sorority. She believes in the importance of community, teaching the individual child, and highlighting the gifts that each student brings into the classroom. She is proud to be a Deep Creek Hornet! Ms. Milteer is the liaison for Special Education and she handles all discipline in that area. Also, she serves as the Crisis Intervention Liaison, Homebound Coordinator, Student Dress Code Liaison for Girls, along with other daily administrative tasks. Ms. Milteer serves as the discipline administrator for Special Education students and Science and Medicine Academy students. Mr. Daniel is excited to join “Hornet Country” as a new assistant principal. 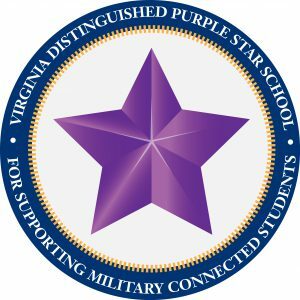 He received his Bachelor of Science degree from Old Dominion University and M.Ed. from Regent University. He a product of Chesapeake Public Schools and has worked as a secondary English teacher since 1994 in Suffolk, Portsmouth, and Virginia Beach. In 2009, Mr. Daniel returned to teach at his Alma Mater, Western Branch High School and Western Branch Middle School. In addition to his teaching duties, Mr. Daniel has been a basketball coach, SCA/Student Activities coordinator, yearbook sponsor, and Freshman Transition teacher. 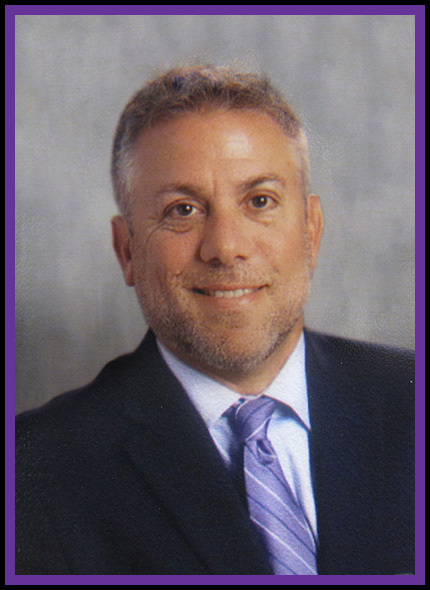 Mr. Daniel’s duties include 10th and 11th grade discipline, attendance and truancy, student activities, and school safety. Mr. Daniel enjoys stand-up paddling (SUP), surfing, and traveling with his wife Amy, a Western Branch Middle School Social Studies teacher, and their two dogs, Daphne and Maggie. Mr. Jason Walker earned a B.S. in Health and Physical Education from Old Dominion University, and a M.S. in Educational Leadership and Supervision from the University of Scranton. Mr. Walker has 23 years of experience in education as a teacher and a coach. He started working for Portsmouth Public Schools and has been with Chesapeake Public Schools for the last 16 years. 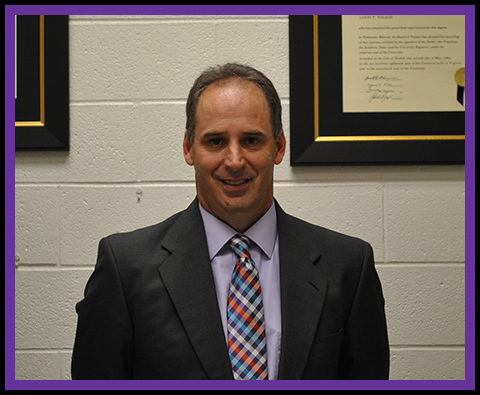 Mr. Walker oversees 9th and 12th grade, building Maintenance, and Bus Transportation. Mr. Walker believes that everyday provides an opportunity to learn something new.